New Trailer and Posters for Wonder Woman! 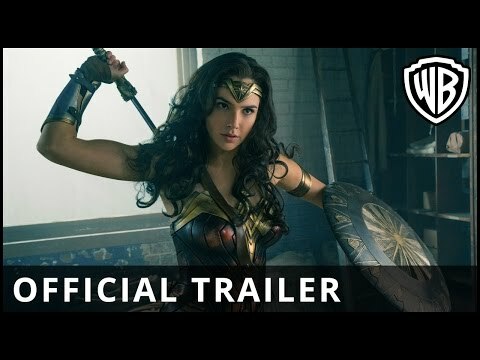 While we got a first glimpse of Wonder Woman following this year's Comic-Con, the new trailer from Warner Bros. really opens up the world of Diana Prince and gives us a proper idea of what to expect when the film is released next Summer. Given its World War period setting, Wonder Women doesn't looked to be getting too bogged down in the gritty contemporary realism of certain other DCEU releases and appears happy to exist as a 'superhero' movie, with a healthy dose of suspended disbelief. It will be interesting to see what director Patty Jenkins brings to the table, this being her first feature film since 2003's excellent Monster. A story from Zach Snyder should tie things nicely into the wider cinematic universe and a script from comic writers Allan Heinberg and Geoff Johns should ensure it stays true to the source. Check out the trailer below and see what you think! "Before she was Wonder Woman, she was Diana, princess of the Amazons, trained to be an unconquerable warrior. Raised on a sheltered island paradise, when an American pilot crashes on their shores and tells of a massive conflict raging in the outside world, Diana leaves her home, convinced she can stop the threat. Fighting alongside man in a war to end all wars, Diana will discover her full powers...and her true destiny. Joining Gadot in the international cast are Chris Pine, Connie Nielsen, Robin Wright, David Thewlis, Danny Huston, Elena Anaya, Ewen Bremner and Saïd Taghmaoui." The Movie Bit: New Trailer and Posters for Wonder Woman!